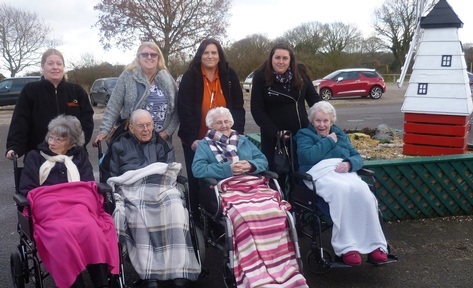 The Care Quality Commission (CQC) and its inspectors have praised a care home in Lowestoft, Suffolk for their dramatic turnaround resulting in a ‘good’ rating. The care home, Lound Hall, has been rated ‘good’ a year after undocumented bruises and isolated residents triggered the home’s move into ‘special measures’. Vinay Patel, the managing director of KRG, spoke to carehome.co.uk about what made the home enter ‘special measures’ in December 2017. Mr Patel became aware that detailed care plans had been scrapped and replaced with single page plans for residents. In 2017, the care home had two inspections that were both rated ‘inadequate’ and put into special measures following breaches of several care regulations. At the time, care inspectors noted poor medication management, poor record keeping, undocumented bruises and unsecured substances. Mr Patel said: “There were perceived abuse for lack of documentation. There was no record to demonstrate. No-one had any real concerns to follow record keeping and follow things by the book. Will you still get state pension at 65?